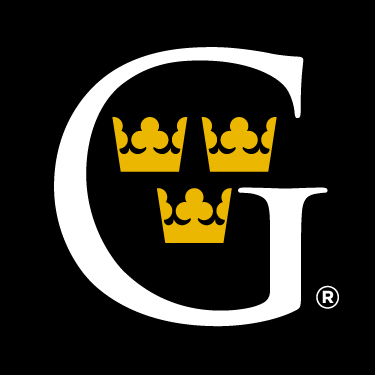 Position Details: Gustavus Adolphus College invites applications for a full-time tenure-track position of Assistant Professor in the Department of Psychological Science to begin September 1, 2019. Major/Essential Functions: Gustavus faculty engage in teaching, research, and service. The annual teaching assignment will be six courses, normally two course preparations per semester. Primary teaching responsibilities will include mid-level and advanced seminar courses in the candidate’s specialty that complement current course offerings. Additional teaching responsibilities may include contributions to departmental required courses, such as general psychology and research methods, and courses contributing to general education, such as First Term Seminar or January term courses involving experiential learning. Please indicate in your application letter which areas you are qualified and interested in teaching. Required Qualifications: We seek candidates with a PhD in a mental health field, including, but not limited to, clinical or counseling psychology or its subfield neuropsychology, but will consider candidates who have achieved ABD status and will complete their degree by September 1, 2019. Preferred Qualifications: The most successful candidates will provide evidence for the following qualifications in their application letter. Experience teaching undergraduate courses, teaching effectiveness and development, and knowledge and implementation of evidence-based pedagogy. Experience creating inclusive learning environments for a diverse student body or supporting diversity initiatives more generally. The ability to establish an active research program at a liberal arts college that involves undergraduates, and prior experience advising and engaging in research collaboration with undergraduates. A clear understanding of the importance of a liberal arts education and a vision for contributing to that education. Faculty at Gustavus recently endorsed a new General Education Curriculum with substantial commitment to studying diversity in the global and US context and understanding the relationship between the two. Consistent with this emphasis, we seek candidates whose research is cross-cultural or multicultural and/or relates to historically underrepresented groups. Application and Institution Information: To apply, visit https://gustavus.edu/jobs/ and complete the online application. Please only submit the required materials—a letter of application that indicates. Your teaching interests and succinctly provides compelling evidence for the position qualifications listed above, a curriculum vitae, copies of unofficial transcripts for the required degree, and the names and contact information for three professional references. At least one of the references must be able to address teaching experience and effectiveness. For more details, visit the College’s website at https://gustavus.edu/provost/newfaculty/ or contact Dr. Kyle E. Chambers, Associate Professor and Chair of Psychological Science, at chair@gustavus.edu. For full consideration, applications must be received by October 19, 2018. While applications may be accepted after this date, it is not guaranteed that they will be considered. At this time, please only upload the required documents listed above; finalists may be asked to submit additional materials. Gustavus seeks to equip students to lead purposeful lives and to act on the great challenges of our time through an innovative liberal arts education of recognized excellence. The Department of Psychological Science is a vibrant community committed to promoting psychology as a science both for the sake of gaining understanding and for the applications that may emerge as a consequence. Furthermore, we are an Engaged Department that values community partnerships. For more information, see https://gustavus.edu/psychology/ and http://www.cedarvalleycolab.com/.